Over the past year, a number of unusual and rare species found their way onto our commonwealth’s landscape, visiting briefly before moving on. According to posts on VA-Bird, an internet chatroom where birders share sightings from across the state, more than two dozen species were identified during 2018. 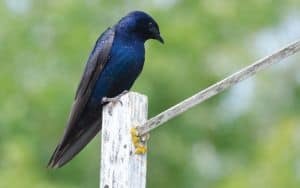 The impressive list of avian guests includes Lapland longspurs and snow buntings, species that breed in Alaska and the northern tier of the Canadian provinces. Three seldom-seen flycatchers were spotted: western kingbirds, ash-throated flycatchers and Say’s phoebe, an unusual species found in the southwest U.S. and northern Mexico. 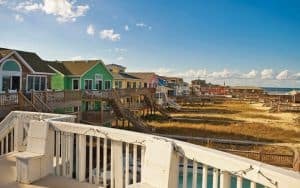 The smorgasbord also included such oddities as black-headed gull, European goldfinch, black-bellied whistling duck, lark sparrow, clay-colored sparrow, white-winged dove, ruff, brown booby and snowy owl, spotted in Virginia’s Piedmont or the coastal plain, well out of their normal ranges. Why are so many out-of-range species being spotted nowadays? Experts have a number of possible explanations. First, since many unusual species are sighted during late fall migration and wintertime, it’s thought that they follow food sources and find themselves in new territory because of the abundance of prey and food. Another explanation for out-of-range birds concerns genetics. Birds live their daily lives by an internal genetic code: find the best territory, defend it vigorously, find the right mate, breed, feed, take it easy during the summer, gorge themselves and head for the migratory flyway when daylight hours drop to a critical level. Such patterns are hard-wired into the genetic fabric of birds. However, non-conformists abound in the avian world, too. These birds, whose wiring is curiously altered by nature, are apt to push the summer range outward and migrate shorter distances or different directions to find adequate food sources. They may become true wanderers that turn up in our well-stocked backyard feeders, or we stumble across them while birding in our neighborhoods and parks. 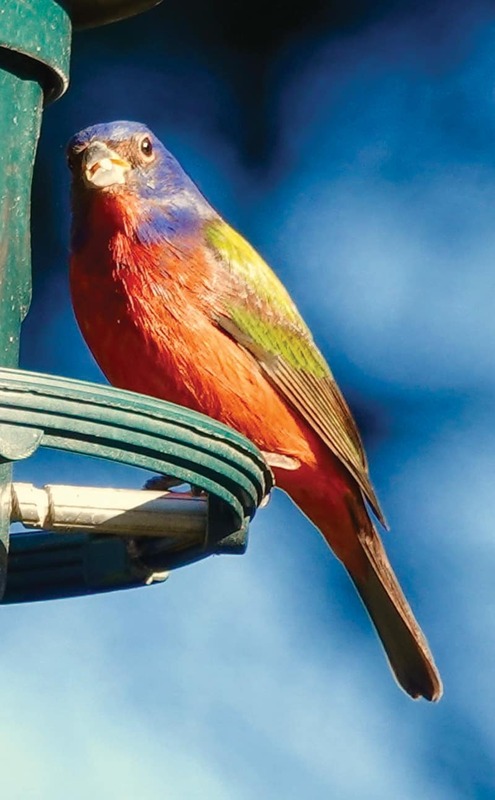 Too, as the number of people who feed birds in their backyards grows and more birders head into the field, there are more eyes and ears to spot out-of-range species. A National Audubon Society study found that since 1966, more than half of our wintertime avian species in North America have widened their winter ranges. Analyzing 40 years of data from Christmas Bird Counts, scientists noted that 177 species of our 305 widespread winter species showed an ongoing trend of moving their ranges northward during winters. This phenomenon may be directly related to the effects of climate change, as winters have become much milder and more hospitable to avian visitors that previously had more restricted Southern winter ranges. Hummingbird sightings are good examples of out-of-range rarities. Over the past decade, some very unusual hummingbirds have visited East Coast backyards. A calliope hummingbird, the smallest North American hummingbird, whose usual range is the Rocky Mountains to the arid Southwest, appeared in North Carolina. A green-breasted mango, a resident of tropical lowlands from Mexico and Latin America, stayed several weeks in a Maryland backyard. 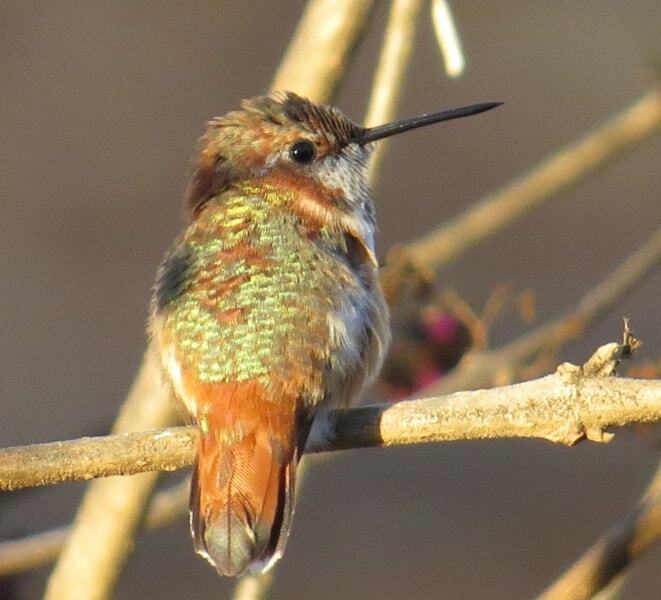 One remarkable species that has visited the Richmond area during frigid winters is the rufous hummingbird. 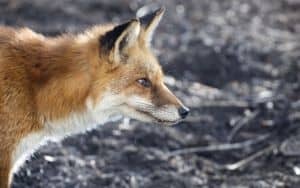 Sightings have increased over the past few years, with nearly yearly sightings in Richmond, Roanoke, Northern Virginia and Hampton Roads. Although considered to be a western bird, the rufous species is the most widely distributed of the hummingbird family in North America, and it’s been sighted in every state but Hawaii. It has the longest migratory flight of any hummingbird, from wintering grounds in southern Mexico to breeding territories along the Rocky Mountains into Alaska. Scientists believe that their range has been expanding eastward. The rufous is richly colored with a nearly chestnut back, a mocha chin and throat, with a white band below the chocolate bib. It’s considered to be rather feisty and often will drive other species away from feeders. Two Chesterfield residents have had fascinating experiences with rufous hummers over the years. In one instance, syrup feeders attracted a rufous during two winters in a row. Another Chesterfield household was visited by a rufous during the Christmas season; it quietly departed in January, was captured by a hummingbird bander in Montana the following August and returned to the same Chesterfield home the next Christmas. So, as you casually watch birds fly among your feeders or as you walk in your neighborhood park, keep an eye out for new or different-looking birds. 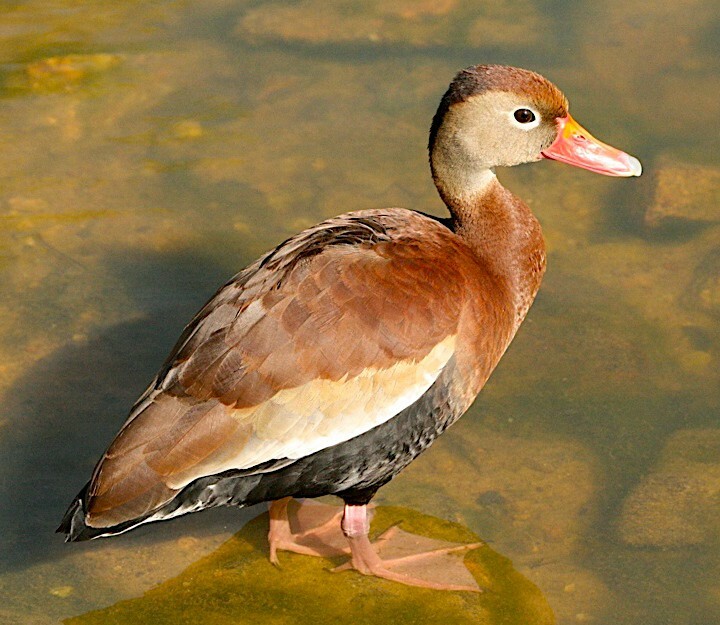 If you encounter an unrecognizable bird, carefully note features and markings such as color patterns, size and shape of the bill, and the kind of habitat in which you found it. Better yet, try to take a picture of it. After checking your bird guide, if it’s still a mystery, contact the Richmond Audubon Society (RichmondAudubon.org). For links to web pages and listserv emails from birders around the state, including statewide VA-bird, visit VirginiaBirds.org/resources/listserves.